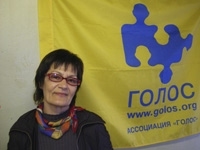 On 19 June the preliminary hearing in the suit brought by the Samara region police against the publisher and editorial board of Puls Povolzhya newspaper, the author of the article "Police detain women and the elderly at Samara rally" and chair of the Samara organisation for the protection of voters' rights Golos, Ludmila Kuzmina, took place in the Oktyabrsky district court in Samara. Human rights defender Kuzmina learned about the lawsuit on the eve of the hearing from the acting editor-in-chief of Puls Povolzhya Saiyara Dvortsova. This was reported by Interregional Human Rights Association Agora, which is representing Kuzmina's legal interests. "I received a message from a journalist via email," stated Kuzmina in court. "I received no copy of the statement of claim or any of its attached documents. I do not know the subject of the suit, the grounds for the suit or the demands. Therefore, I request that I be allowed to familiarise myself with the materials of the civil case." Despite this, the judge did not hand over any documents to the civic activist. Meanwhile, the plaintiff has presented additional documents to the court, copies of which have not been given to the defendant. "In the civil process there is a rule that when either party submits documents to the court, they must ensure that the number of copies submitted corresponds to the number of participants in the case," notes lawyer and Agora legal analyst Ramil Akhmetgaliev. "The court is obliged to hand over copies of documents to all parties. As of today, Kuzmina still has not received, even in court, the statement of claim and the evidence presented by the claimants. Through its actions the court has effectively restricted Kuzmina's right to defence from day one. Kuzmina has asked the court to postpone the hearing so that she and her lawyer can study the case, prepare their arguments and present the necessary evidence according to the statement of claim. Consequently, the next hearing will take place on 4 July 2012, reports an Open Information Agency correspondent. Samara region police officers and MVD department deputy chief Igor Sizokov, acting as a third party, believe that the published article, "Police detain women and the elderly at Samara rally", contains inaccurate information about the protest which took place in the city on 17 December 2011. In particular, police chiefs disliked Ludmila Kuzmina's account of how an elderly woman participating in the rally was allegedly "dragged to a bus", "hiding her eyes on the ground" and "burning with shame" by a group of four "young police cadets". This information was part of the material published by Puls Povolzhya and was also published on Kuzmina's personal blog.